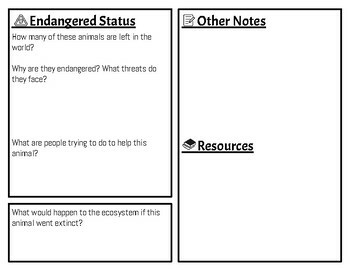 I use this organizer with my students to guide note-taking about an endangered animals. 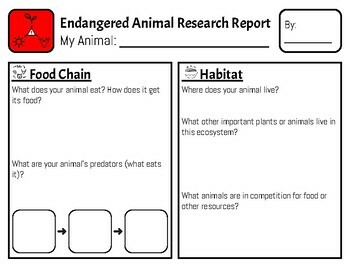 I normally select animals from the WWF's Species Directory or Newsela's articles about endangered species, although additional resources are often required. This project is embedded in a unit about ecosystems in balance - so my English learner students in 3rd grade are familiar with the vocabulary on the pages.